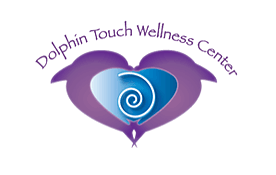 Connect with Your Dolphin guide! Animals are pure unconditional love and they are always communicating with us – freely and openly. When we clear our mind and open our hearts, our abilities heightened and we are able to listen to their messages and tune into their auric field. Learn not only to tune into their field, but to open your heart and send loving Reiki eenergy to them. This is an 11-week class. Contact us for more details. Who is your dolphin guide? What has he/she to offer or guide you? How can you be more connected to your guide? Six Steps to Living the Life of Your Dreams! ​Join this Program where you will:Remove Blocks to Experience Your Joy; Create a New Foundation For Joy; Get Reborn into More Joy; Forgiveness as a Path ot Joy; Connect with Your Joyful Body; Consciousnessly Co-Creating Your Joyful Self; Walking and Living the Path of Joy!